The Blanco brand Diamond Anthracite sink is a composite, colored sink made from 80 percent granite and 20 percent resin. The company calls the product SILGRANIT. It generally resists high heat, scratches and staining. But, occasionally kitchen messes result in stains that need added attention. Removing stains from a Blanco kitchen sink is simple with the right products. Pour a small amount of Blancoclean, a product made specifically for Blanco sinks, on the stain and rub the area with a soft scouring pad. Other stain removal products that are recommended by retailers for removing normal stains from Blanco sinks include Vim and Softscrub. Combine 50 percent bleach and 50 percent water for tougher stains. Allow the solution to soak in the bottom of the sink for one hour. Scrub the stain and then rinse. Remove calcium stains by using Lime Away. 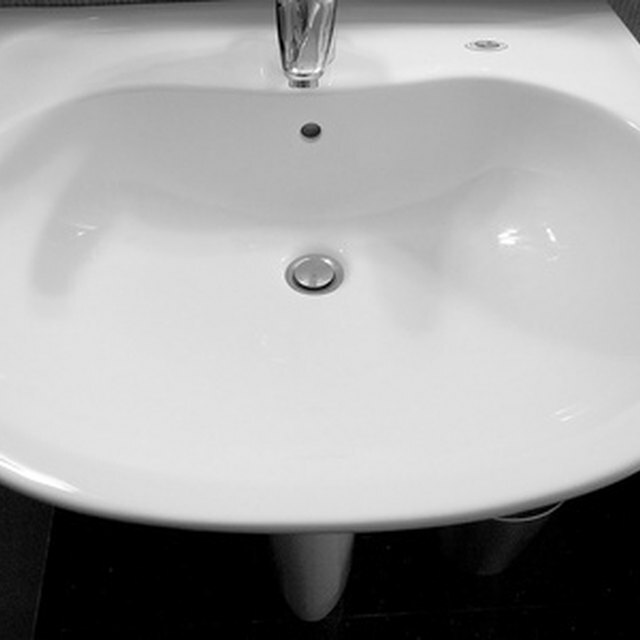 Wipe down the sink after every use with a dry, soft cloth to help eliminate water spots and soap film. Do not use abrasive cleansers or hard scrub pads, such as steel wool. Do not use straight bleach. Always mix with water. Do not use ammonia or other caustic products.